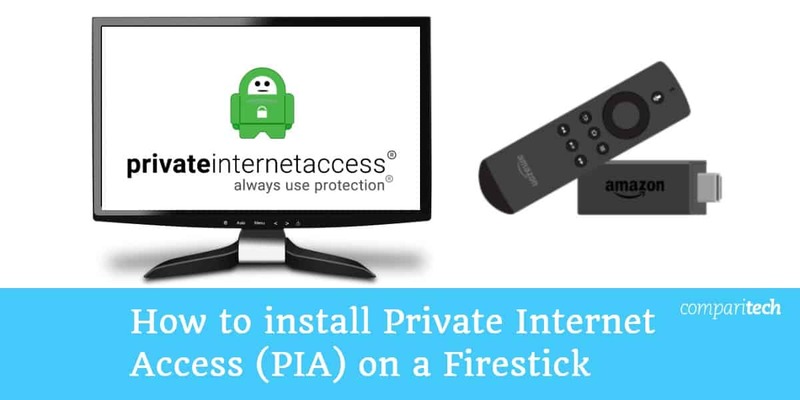 Private Internet Access (PIA) is a popular VPN (Virtual Private Network), but it doesn’t offer a dedicated app for Amazon Firestick. This doesn’t mean you have to stream unprotected, however. In this post, we’ll explain how to install PIA on your Amazon Firestick or Fire TV. VPNs encrypt your network traffic, keeping it safe from the prying eyes of your Internet Service Provider (ISP), government, and employer. This not only enhances your privacy, it reduces the chance of your ISP throttling your speeds, which is particularly useful if you regularly use Kodi on your Firestick. VPNs have another major benefit, though: the ability to spoof your location and access geo-blocked services from abroad. This means that with the right VPN, you can use platforms like Netflix US, ITV Hub, and Hulu from anywhere in the world. Many VPNs now offer dedicated Firestick apps, but PIA isn’t one of them. Despite this, installing PIA on an Amazon Firestick or Fire TV is relatively simple and only takes a few minutes. We’ve also listed a few high-quality options below in case you’d rather use a VPN with an official Firestick app. There are a couple of advantages to using a service with its own Amazon Fire app. First, they’re guaranteed to work flawlessly with the Amazon Firestick remote control. Second, these apps automatically update, meaning your app will always be ready to use when you need it. ExpressVPN is our top VPN for Amazon Firestick. It’s a fast, secure VPN with exceptional speeds and content unblocking ability, and you can install it directly from the Amazon app store in under a minute. ExpressVPN offers a 30-day money-back guarantee so you can try the service risk-free. If you’re unsatisfied, just cancel to receive a full refund, no questions asked. IPVanish is also an excellent choice. This low-cost VPN offers fast speeds, strong security features, and a no-logs policy. It works with less streaming services than ExpressVPN but It’s lightweight apps and strong privacy credentials make it popular with Kodi users. IPVanish offers a 7 day money back guarantee. In the tutorial below, we install PIA using its APK file. This is Android’s equivalent of a EXE file on Windows or an APP file on Mac. PIA allows users to download its official APK file directly from its website and we strongly advise against getting it from anywhere else. These files are often repackaged with malware and uploaded with the aim of tricking unsuspecting users into infecting their own systems. Due to a lack of vetting, malicious APKs may even be hosted on seemingly reputable websites. As such, the only way to guarantee your file is safe is to get it directly from your VPN provider. 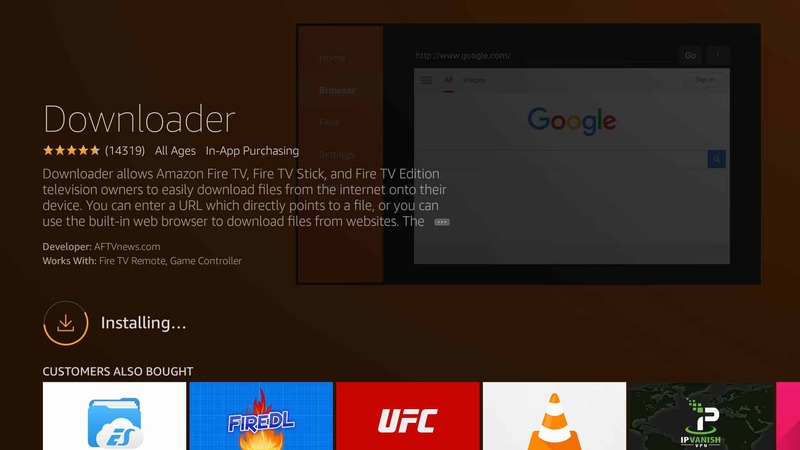 Before we begin, there are a couple of things you’ll need: a second or third-generation Firestick or Fire TV (although we provide a workaround for older devices further down) and a subscription to PIA. Private Internet Access offers a 7-day money-back guarantee, so you can see if it’s right for you before committing, however. From the home screen, navigate to the Settings option in the top bar. Next, select My Fire TV. Click on Apps from Unknown Sources. It should now say “On”. Press the home button on the remote control to return to the main screen. 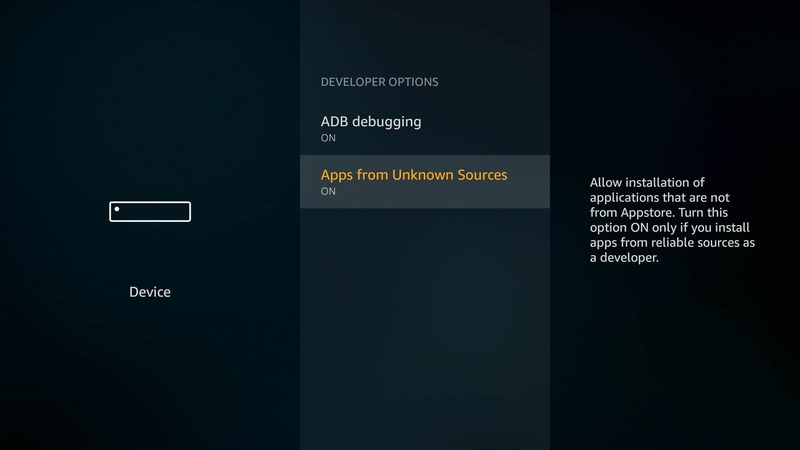 The easiest way to install APK files on your Firestick is to use an app called Downloader. To install this app, either hold the microphone button on your remote and say “Downloader” or find it manually using the search bar at the top of the home screen. When you’ve found the app, click Download to install it. Next, click the Go button at the bottom of the screen. Your file should begin to download, and once it’s finished, you’ll be asked to confirm the app’s permissions. Click INSTALL here, and OPEN on the next screen that appears. The good news is that PIA’s Android app works perfectly with the Amazon Firestick’s remote control. This means that you can get started right away without the need for any additional software. Log in using your PIA username and password. The app will ask for access to your VPN configurations, so click OK, and OK again on the following page. Now you can actually access the PIA app. Before you connect, we recommend enabling the kill switch and adblocker options on the right-hand side of the screen. You should also click on Settings, scroll down the list, and enable Connect on boot so that the VPN will automatically connect whenever you turn on your Firestick. 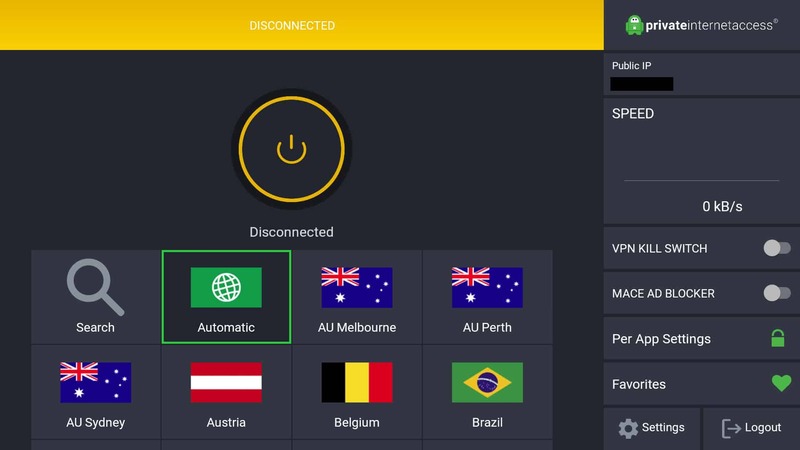 When you’re ready, return to the left-hand side, choose which server you’d like to use, press up on the remote, and click the button to connect to the VPN. Now that your app is properly set up, it’s very easy to unblock geo-restricted platforms abroad. Log in to the VPN app. Connect to a server in the appropriate location. For instance, you’d use a British server to unblock ITV Hub or an American one to unblock Netflix US. Try streaming content on your chosen platform. It should load without any issues but if not, contact your VPN’s support team to see if there are specific servers you should use. Amazon Fire devices only provide automatic updates for apps that are available in the app store. As such, you’ll have to update your PIA app manually. Luckily, this is a quick and easy process. 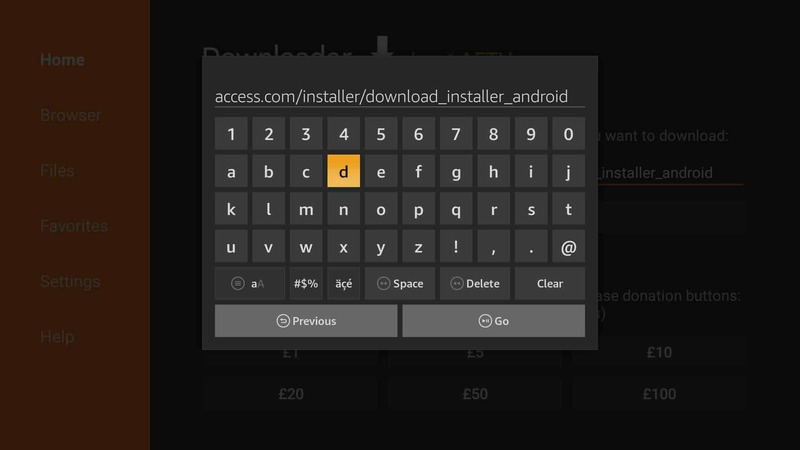 To update PIA on your Firestick, just enter the link to the APK file into the Downloader app as though you were going to install it again. The only difference is that this time, you’ll see an Update button instead of an Install one. Click this to install the most up-to-date version of Private Internet Access. We recommend checking the website periodically to see if there are any new updates. Can I use a VPN on my first-generation Firestick? First-generation Firesticks do not support VPN tunnelling, and as such, you can’t install a VPN app on them directly. So how do you find out if you’re using a first-generation device or not? Look for the FCC ID on the back: if it’s 2ABDU-0509, you have a first-gen Firestick. In some cases, you can still stream safely by installing a VPN on your router. This is slightly more complex but will automatically encrypt and protect traffic going to and from every device on the network. Private Internet Access even has step-by-step guides to installing its service on Tomato and DD-WRT routers. Why isn’t my VPN working properly? Choose Settings from the navigation bar on the main screen. Click on Applications, then Manage Installed Applications. Find your VPN app (PIA, for instance) in the list of installed programs. Click the Force Stop and Clear cache buttons. Restart your VPN app and see if your problem is resolved. 6 Can I use a VPN on my first-generation Firestick? 7 Why isn’t my VPN working properly?